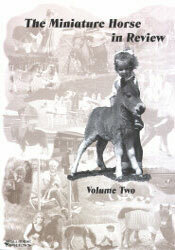 60 pages with illustrations and photographs. So You're Expecting a Foal! 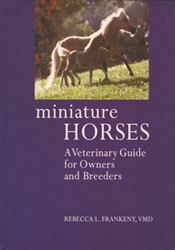 In this video, Pat Grady gives detailed instructions for trimming your mini's hooves. 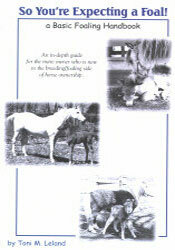 Explains steps and tools required to keep horses balanced and comfortable. 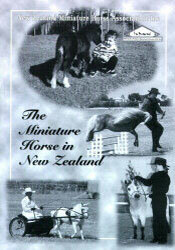 Also discusses special foot problems including founder, pigeon toes, and tiny foal feet. 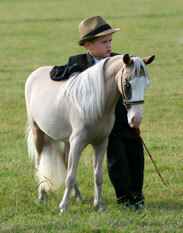 In this video, Portia Sue Owens shares her expertise in body clipping a miniature horse for the show ring. 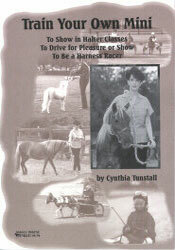 Also included are instructions on keeping your horses looking good at home (clipping the bridle path, fetlocks, and whiskers.) Proper use and care of clippers is included in the discussions. 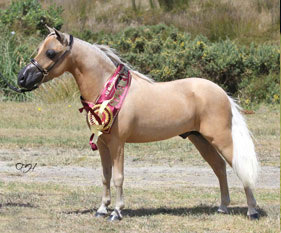 This video covers everything miniature horse owners need to know to keep their horses looking good at home and ready for the show ring. A step-by-step daily routine is carefully presented, including what grooming tools are needed and exactly how to use them, how to bathe your horse, and blanketing. Portia Sue Owens also discusses types of show halters, use of makeup, clipping, and other tips she has acquired throughout her career. Training techniques for the most common obstacles, are shown in detail with tips and advice from Joanne, to help you make the best presentation possible. 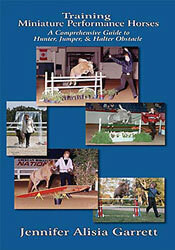 Obstacles covered include, jumps, rails, cavaletti, water, bridges, side passing forehand pivot, haunch pivot and ground tying. 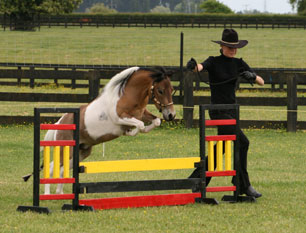 Joanne shares her secrets for teaching you horse to be well-mannered and responsive to your commands. The art of backing is also discussed. 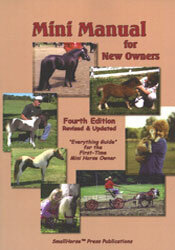 This DVD provides critical "need to know" information for any mini owner preparing for their first foal. 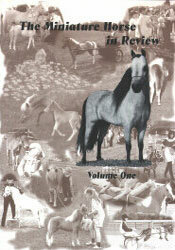 Its shows care of the pregnant mare, pasture and turnout, foaling stall and also shows familiarization with the mare's anatomy, all covered in detail. "Red Alert" signs are detailed including premature separation of the placenta, and some things to note in the new born. 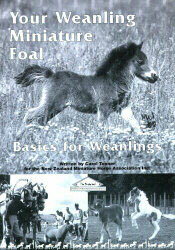 You will also get the accompanying book "So You're Expecting a Foal"
This 30 minute video guide will give any Miniature Horse owner the tips and techniques to train a Mini to drive successfully. 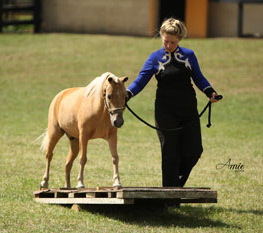 Joanne Ross of Scott Creek Farm explains the differences between the driving classes available in Miniature Horse shows, and shares insights into what makes a successful amateur exhibitor. 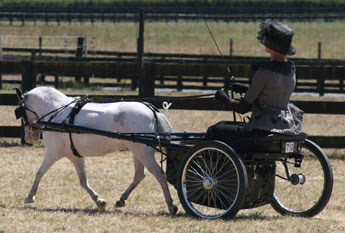 You'll study the parts of the harness and cart and follow a close-up, demo of harnessing and hitching your horse. This 30 minute video guide will start with the premise that you already have a driving prospect, you have studied the various classes, and are able to harness and hitch your horse. Joanne Ross of Scott Creek Farm will show you, step-by-step, how to start a green horse, discuss the importance of "whoa," safety issues, and understanding the nature of the horse, as it relates to training. Once you have your horse started in harness, you'll learn exercises and drills for turning, backing, and building your horse's flexibility, as well as how to handle your reins and whip. 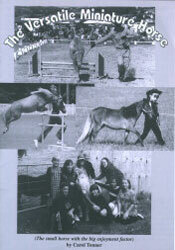 The workshop finishes up with some problem-solving, including balking, rearing, and the runaway horse.